We will not be getting together with our “galentines” for brunch in 2018. Instead, we hope you will join us for our Party in the Park on Thursday, April 5 at 6:30 p.m. Celebrating Yellowstone’s 15th Anniversary, this fun event will feature live music from The Drywater Band and catering by Pappas Restaurants. So leave your gowns and heels at home and put on your dancing shoes! 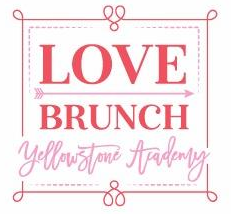 Mark your calendars now for Love Brunch 2019 next February!